Classical Homemaking: The Homemaking Party -- Celebration Time! Lynzie and I have been busy making dresses and jackets and will head out Friday morning to fly to Salt Lake for the weekend. After the wedding, my mom is coming home with us to visit for two weeks! It's going to be a happy time! 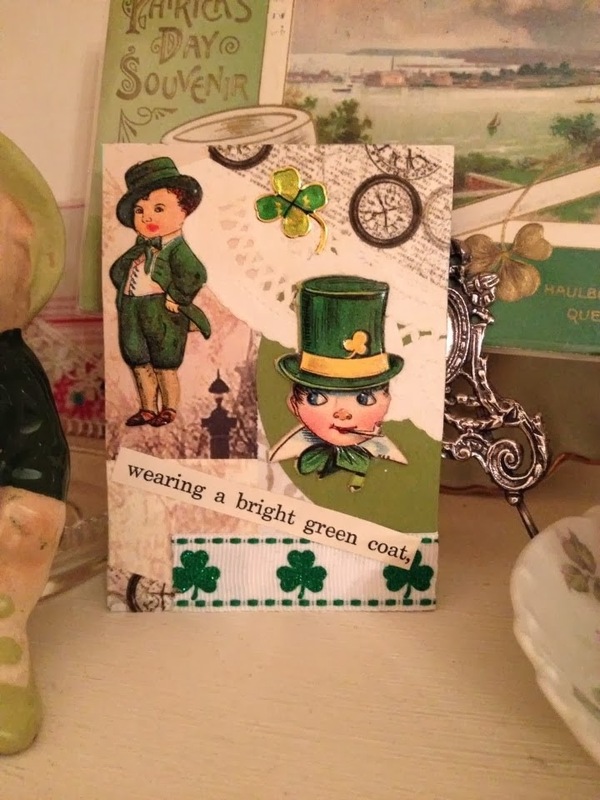 I've been having some crafty fun this week making some St. Patrick's Day ATCs. The leprechaun diecuts on these are from Germany, c. 1920. I love incorporating vintage and antique elements into my crafts and these guys were pretty irresistible! Have a lovely week and thanks for joining the party! Thank you for hosting! Hope your weekend is wonderful! Thank you so much for hosting! Congrats to Joe, his bride and your whole family!! A beautiful couple. Best wishes for them. 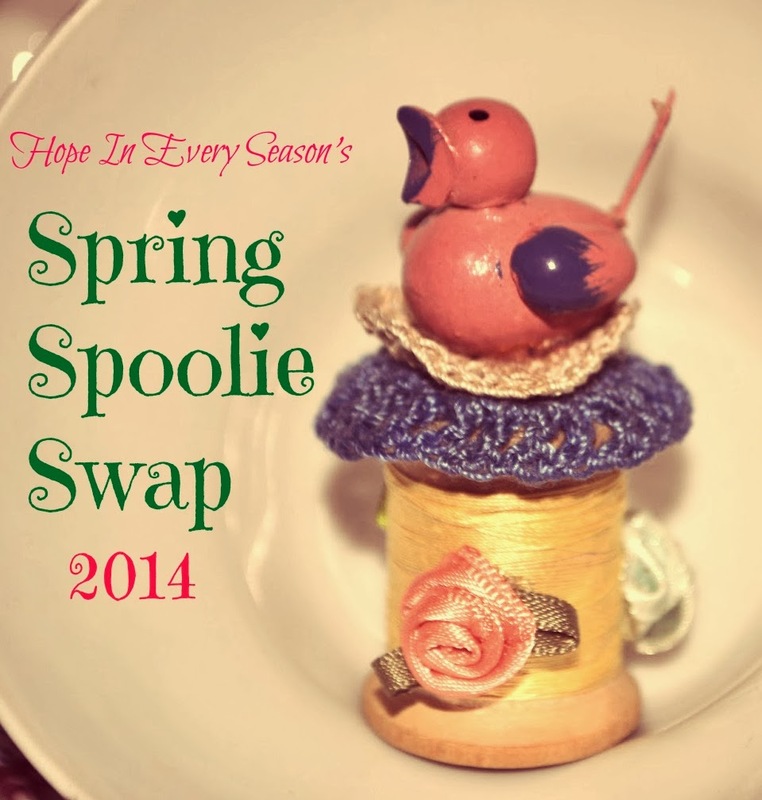 Thank you for the blog hop linky :-) Always love it! glad you get to go =) and Grandma coming back for family time! Best wishes to your brother and bride-to-be. Thanks for hosting! These are two truly fine looking people. She s gorgeous and he is just too handsome. I wish the well. Trust you have a safe trip. Good evening! Your brother and new sister-in-law make a nice couple. Congratulations! Thanks for hosting. Stunning pictures! Thanks so much for the party. 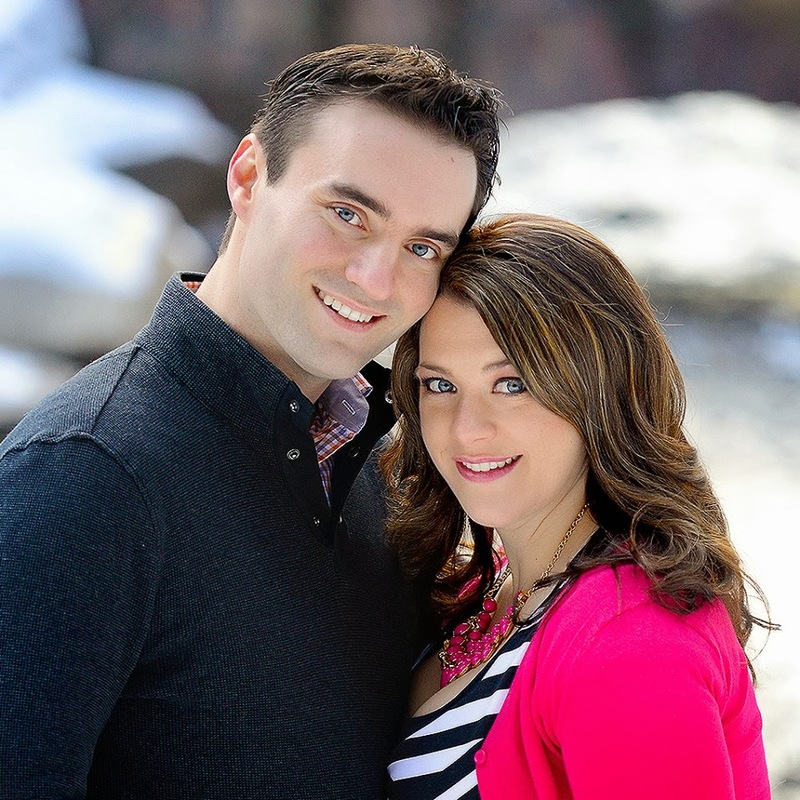 Congrats to your brother and fiance! By the way.. your brother is gorgeous too! I'm an only girl with two brothers, so when the older one got married I finally had and have a sister! Love your St. Pat's decor. Happy St. Patrick's Day to you and all your family! Thank you for the fun party too. Congrats to the cute couple! 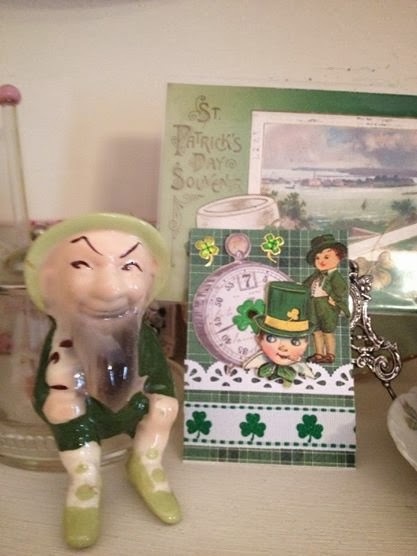 Love the vintage St. Patty's images and your spoolie is so sweet! Thanks for joining SYC. Thanks for the party! I love all your crafts and that is one stunning couple. I bet it will be a beautiful day. Congratulations to you and your family! Best wishes for tasty dishes.